Curious legislative developments have emerged from Germany in recent days, where the country’s 16 state-level prime ministers — roughly equal to governors in the US — have approved a plan backed by Germany’s state-run lottery that would double the number of nationally-issued online sports betting operator’s licenses from 20 to 40. It’s a curious move, in that it seems to designed in part to prevent Europe’s gambling industry from continuing to lay siege to Germany’s crippled State Treaty on Gambling. 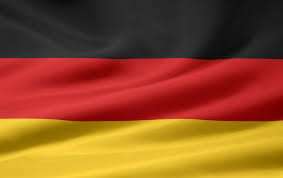 Germany’s plans to modernize its online-gambling regulatory regime have received twin setbacks in recent months, blasting a large hole square through the middle of the country’s online gambling plans, which were first approved back in 2012. First, a court in the German state of Hesse ruled last November that the secretive, two-stage process through which German online-gambling licenses were awarded was far too opaque; denied applicants had no clue why they were denied, and the whole process was “contrary to the requirements for a lawful restriction on the freedom to provide services,” according to the overriding European Union treaty directives. Then the European Union itself spoke, courtesy of an EU Court of Justice edict rendered last month. Again, the decision went against Germany and its brand spankin’ new (at least by legislative standards) gambling law. In a ruling first announced in October and confirmed last month, the EUCJ ruled against German prosecutors who clamped down on a Turkish sports-bar owner in the Hessian case, stating that “Article 56 [of the Treaty on the Functioning of the European Union] precludes national criminal prosecution authorities” from conducting such a prosecution. The bar owner, Sebat Ince, allowed patrons to wager via an unidentified service which was incorporated and fully licensed in Austria and operating out of Malta. It ight have been bet-at-home, but that is unconfirmed. Germany’s licensing process was essentially ruled unconstitutional in the Hesse case, because of its opacity and implied favoritism. Initially there were 73 applicant companies; that number was trimmed first to 35, and then again to 20. Several major European gambling companies were arbitrarily denied licenses while smaller, Germany-based companies were approved. One would think that faced with the mess that the licensing process caused, that Germany’s highest lawmakers would overhaul the 2012 gambling treaty and install rules that made license approvals dependent on applicant merit, rather than some arbitrary number of licenses. One would think that… but no. Instead, the 16 state-level ministers have decided to increase the number of those licenses from 20 to 40, while leaving all the other probably-unconstitutional restrictions and vetting processes in place. While the increase to 40 approved licenses might appease another layer of once-jilted applicants, it comes nowhere near addressing the fact that virtually all 73 of the initial applicants carried valid EU licensing. In other words, the new changes fix nothing. 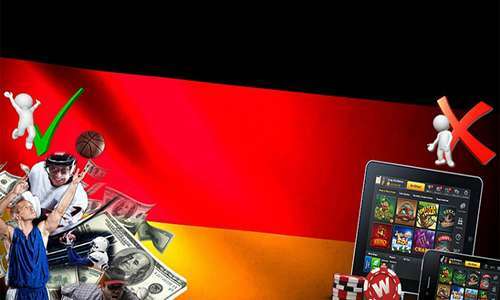 They’re likely to leave Germany in violation of the TFEU regarding online gambling, and set up a recurring round of formal complaints and litigation via the EUCJ. Nonetheless, the new changes are currently on track to be signed into law as early as June, assuming no one in Germany comes to their senses in the meantime. Then there’s the German lottery connection, which appears to be the prime instigator behind the push to keep trying to find a way to limit international (non-Germany-based) participation in Germany’s online-gambling market. State-run lotteries the world over have viewed other online gambling forms as a competitive threat, and with the payback odds they offer, it’s little wonder. It’s therefore little surprise that officials of Germany’s lotto enthusiastically backed the latest legislative proposals in recent days. “The envisaged granting of 40 sports betting licenses and the provisional acceptance of the 35 companies in the concession procedure successfully reached the second stage, the pacification of the situation is in sports betting,” said LOTTO Hamburg CEO Michael Heinrich, in a brief statement. LOTTO Hamburg runs the country-wide Deutsche Lotto and Totoblock [DLTB]. In the long run, it still won’t fly. But in this case, there’s no stopping stupid.